His name may be hardly known in Ridgefield today, but ask Kathleen Battle, Jessye Norman, or Renee Fleming who William Matheus Sullivan was, and they will tell you. 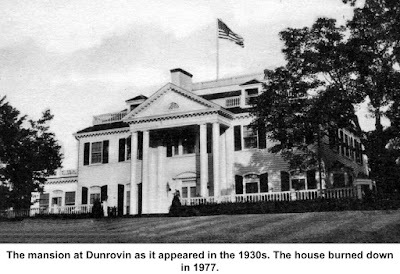 Ridgefield was once the home of Sullivan and his Dunrovin Music Festival that brought major opera and chamber music personalities to a privately created opera house off West Lane. He also created a foundation that has helped many of the top opera singers of the past half century. A native of Brooklyn, N.Y., Sullivan was born in 1885 and graduated from Columbia University’s School of Law. He was an attorney for the Metropolitan Opera and for many of its singers, including Elisabeth Rethberg and Frieda Hempel, and often entertained celebrities in the arts at his Manhattan home. “He sponsored many first concerts for artists who have since become famous at his music room at his New York apartment,” said one account. He personally sponsored violin prodigy Ruggiero Ricci (1918-2012) as a young boy; Ricci went on to become an international star, specializing in Paganini, who made more than 500 recordings and performed in more than 5,000 concerts. The building could comfortably seat 360 people and, in good weather, 100 more could be seated on the terrace. For more intimate gatherings of 150 or so, Sullivan provided Florentine oak chairs. The flooring was random oak boards, pegged into place — more than 3,500 pegs were used. A painting of an ancestral Sullivan castle in Killarney and Van Dyke’s “The Rest of the Holy Family during the Flight to Egypt” hung on the walls. In 1937, Sullivan began staging music festivals in the playhouse that featured such popular operatic voices as Lily Pons, Grace Moore, Lawrence Tibbett, Edward Johnson, and Geraldine Farrar, who lived just up the road. The festivals on successive Saturday afternoons in the summer were aimed at introduced young operatic talent and raising money for music scholarships. Gov. Wilbur Cross attended the opening concert and Sir Hugh Walpole, the English novelist and a friend of Sullivan, provided a dedicatory poem. 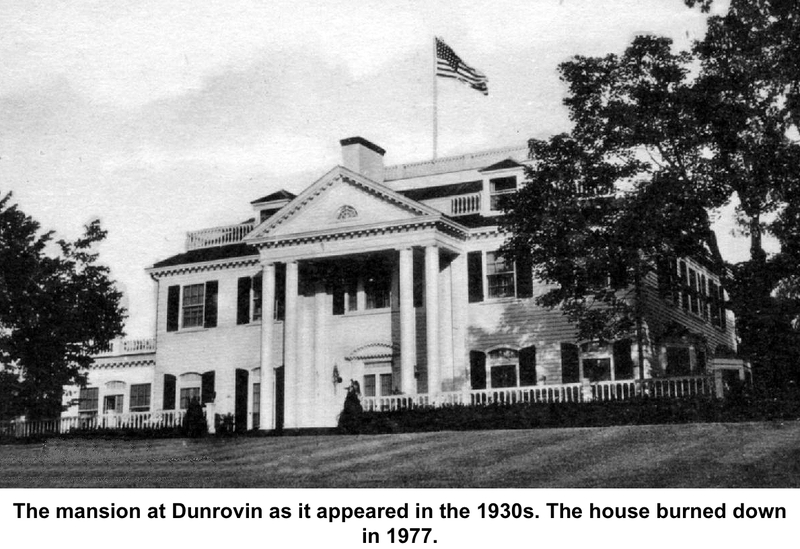 Walpole had visited Dunrovin, declaring that “nothing in America had so much resembled his native England as this bit of loveliness set in the huge Ridgefield estate of the attorney,” reported The Bridgeport Post in 1937. When war broke out in Europe in 1940, Sullivan began turning over the proceeds from the concerts to the Red Cross. The playhouse was also the scene of many special concerts, some benefiting such causes as Danbury Hospital. Suspended during the war, the festivals resumed in 1946, but ended with Sullivan’s death in 1947 at the age of 63. His opera house was later converted into a residence, which it remains today on Country Club Road. In the 1940s, Sullivan was often seen on Main Street in the village walking his English sheepdogs; one of the dogs was the gift of his friend, the Duke of Windsor, when he was king of England. A portrait of the duke also hung in the playhouse. In his will, Sullivan established the William Matheus Sullivan Musical Foundation which, to this day, awards grants to promising musicians to help with their studies. Nearly 500 singers have earned Sullivan Awards, among them Jessye Norman, Jerry Hadley, Kathleen Battle, Renee Fleming, Christine Brewer, Leona Mitchell, Susan Graham, Patricia Racette, and Elizabeth Futral — some of the finest American operatic singers of the 20th and 21st Centuries.